Whether you’re looking around your house and realizing that you have an abundance of jewelry and flatware that you don’t want anymore or you’re in need of some quick cash, there may come a point in your life in which you find yourself looking unload your silver. If you’re living in New York City, you can look around in every direction and find a business that’s offering to buy your silver, gold or other types of precious metals. It’s important to realize that not all jewelry buyers created equal and it’s important to know what to look for when doing your research. 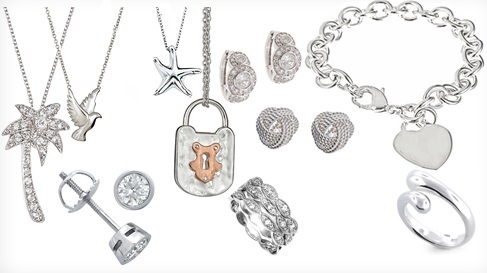 DD Buyers is one of the most established and reputable silver buyers in NYC and will pay top-dollar for your items. Call us today at 646-736-7321. There are multiple factors and signs that indicate the legitimacy and quality of silver buyers NYC. We understand that our prospective and current clients have multiple buyers to choose from in the area, and that they may be wondering what distinguishes us from other businesses. The first thing you need to look for is credentials. Find out if the silver buyer you’re looking into is a certified precious- metals dealer and if they are equipped to properly inspect and appraise your items. DD Buyers offers state-of-the-art, cutting-edge equipment and is licensed and certified expert. Our education and tools enable us to make offers that other businesses simply can’t match. The truth is that there’s no real mystery when it comes to appraising silver. You want to make sure that you have a firm and clear idea of how your buyer arrives at the offer they give you. DD Buyers offers a transparent appraisal process that relies on multiple criteria, including weight, market value, condition age and more. You shouldn’t be blindsided by a lowball offers that vary wildly from vendor to vendor; however, many opportunistic silver buyers will rely on what they believe to be buyers’ lack of education regarding the process. Knowledge is power when you sell your silver or gold. The best way to determine the quality of a silver buyer is by relying on the people they’ve helped in the past. DD Buyers has over 20 years of experience helping customers just like you in New York City and surrounding areas sell their silver and get the best possible price. We have become one of the premier silver buyers in the area because of our commitment to customer service and attention to detail. Call us today at 646-736-7321 to learn more about what we can do for you.